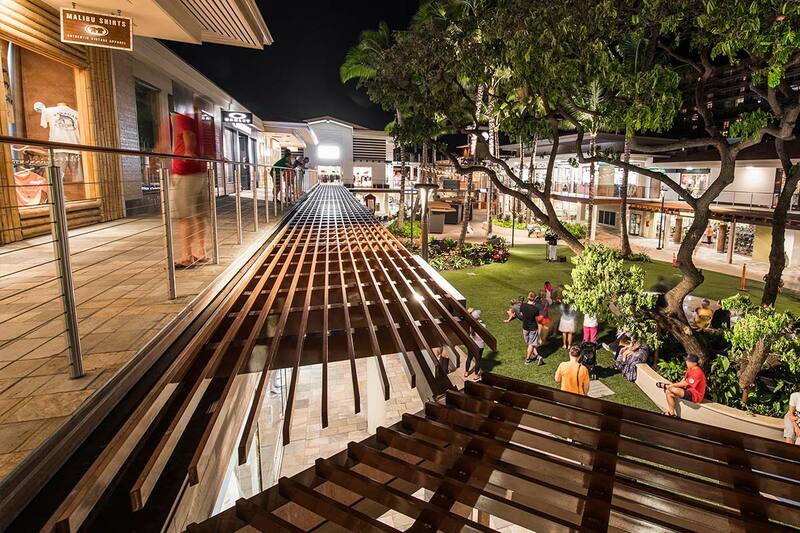 A refresh of the Whalers Village Retail Mall in Kaanapali, Maui. 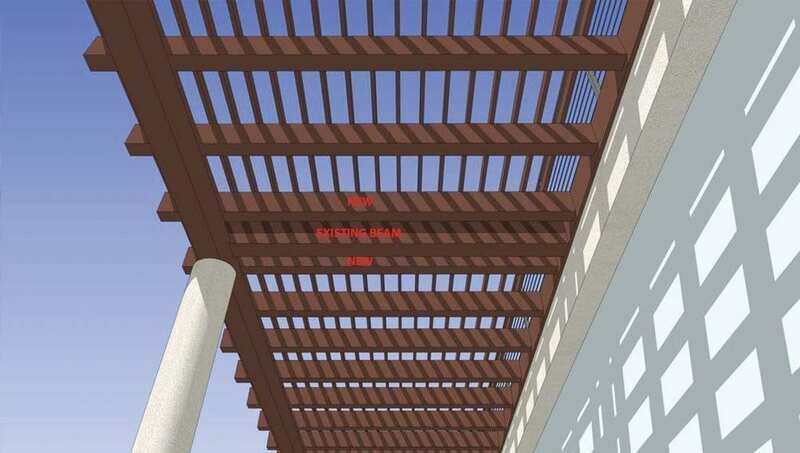 The engineering, fabrication, and installation of over 300 feet of decorative architectural trellis. Fabricated from structural aluminum tubing. 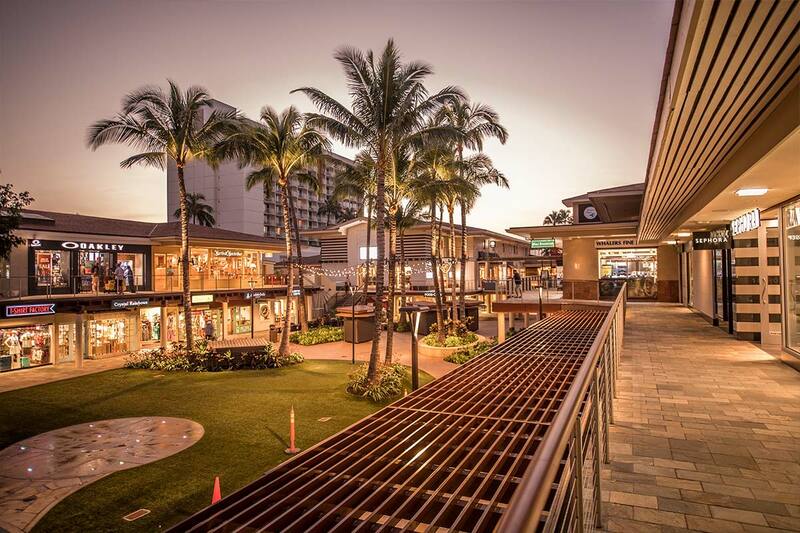 The Padilla team worked with the contractor and architect to design a structurally sound trellis system that brought a sense of modern beauty to the center courtyard of the iconic retail center. 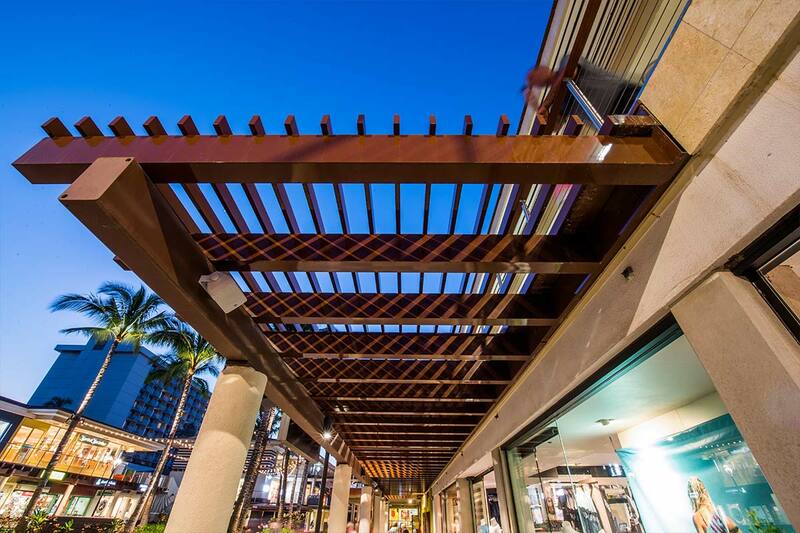 The trellis was fabricated out of structural aluminum and built in large 10’ x 14’ sections. 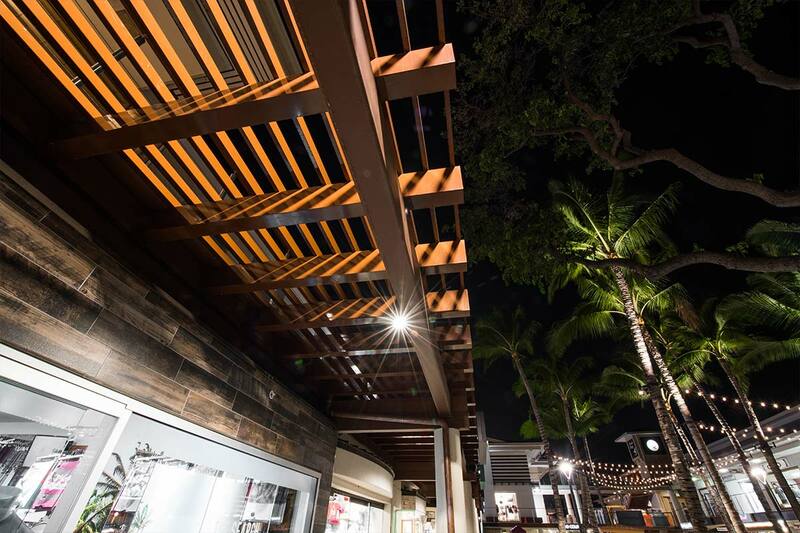 A custom powder coat oven was created by Maui Powder Works in order finish the pieces. 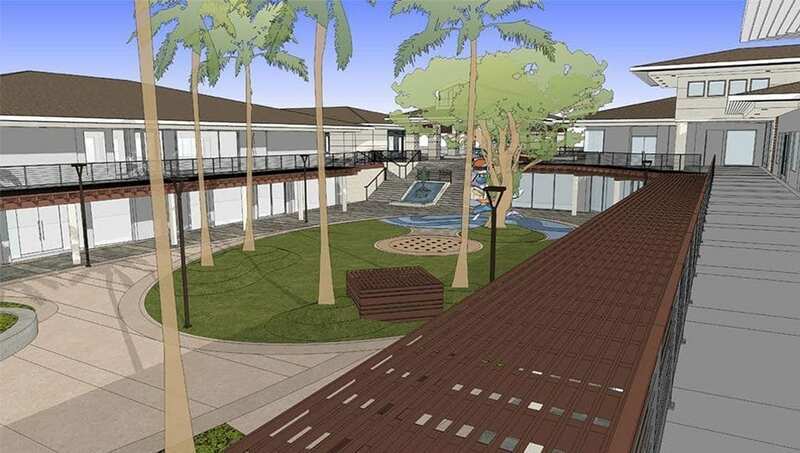 They were then installed on structural steel beams and columns and mechanically fastened together with concealed stainless hardware. Rick Dunn | RME and Senior Project Manager for Culp Construction. 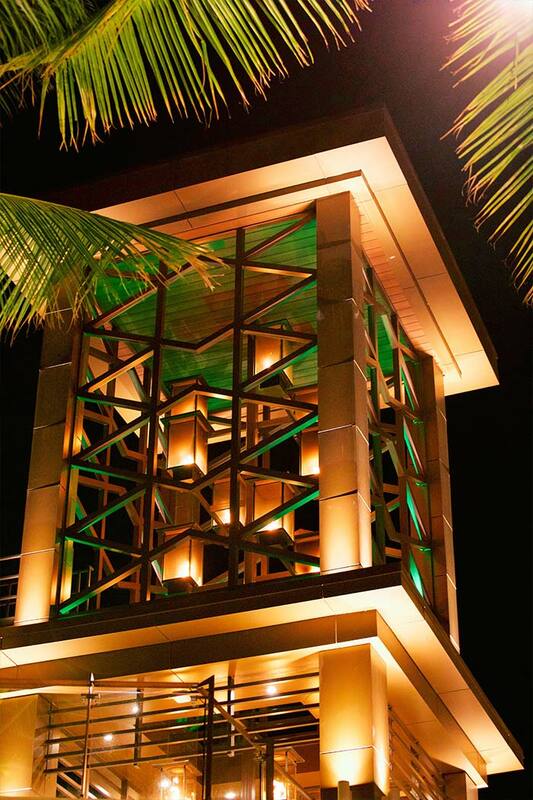 The architectural, structural, electrical, and mechanical engineering of the Fire Elements include over 100 tiki torches, a 20 foot chandelier and a 30 foot cascading fire tower. Fabricated from stainless steel with a powder coated finish.